Mohamed Salah’s second goal against Southampton has seen him surpass Robbie Fowler’s record of most goals in a player’s first 12 Premier League games for Liverpool. 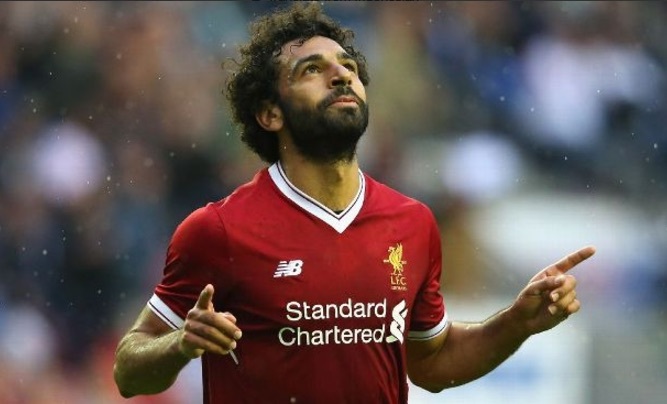 The Egyptian’s ninth league goal overtook Fowler’s tally of eight and saw him become the leading scorer in England’s highest tier. Salah added to his sublime curling opener in clinical fashion, running onto Philippe Coutinho’s incisive through ball before slotting home past Fraser Forster. His latest effort also ensured he became the first Liverpool player under Jurgen Klopp to score consecutive braces in the league, with the summer signing having scored two as the Reds cruised to a 4-1 win over West Ham before the international break. Salah is now just a goal away from becoming the highest-scoring Red across all competitions in a season since Luis Suarez 31 goals during the 2013/2014 campaign. HE. JUST. CANNOT. STOP. SCORING.